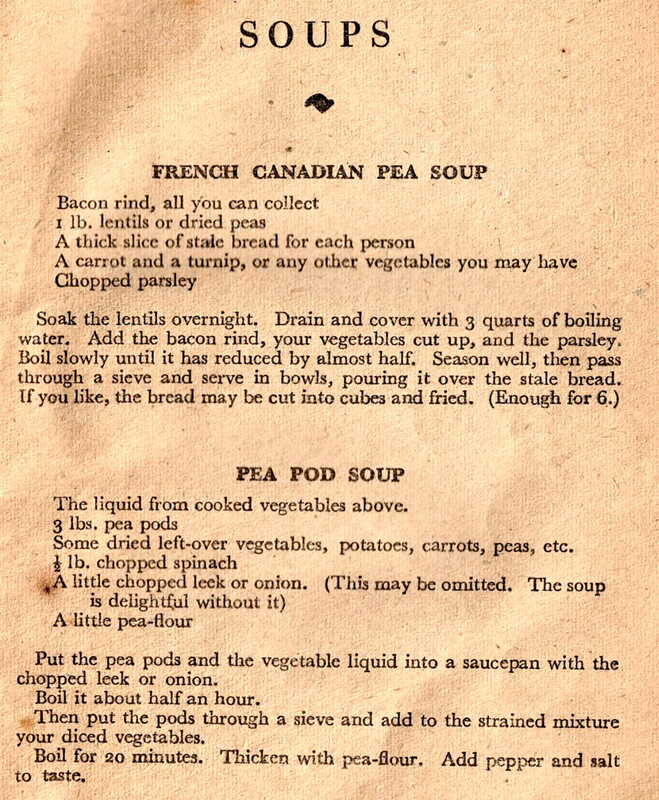 Following the declaration of war in 1939, the dreaded Ministry of Food was revived within days. Almost at once rationing was re-introduced. At this time nearly 60% of all food consumed in Britain was imported and became, therefore, limited. Supply routes became threatened and as stocks dwindled, so prices rose. 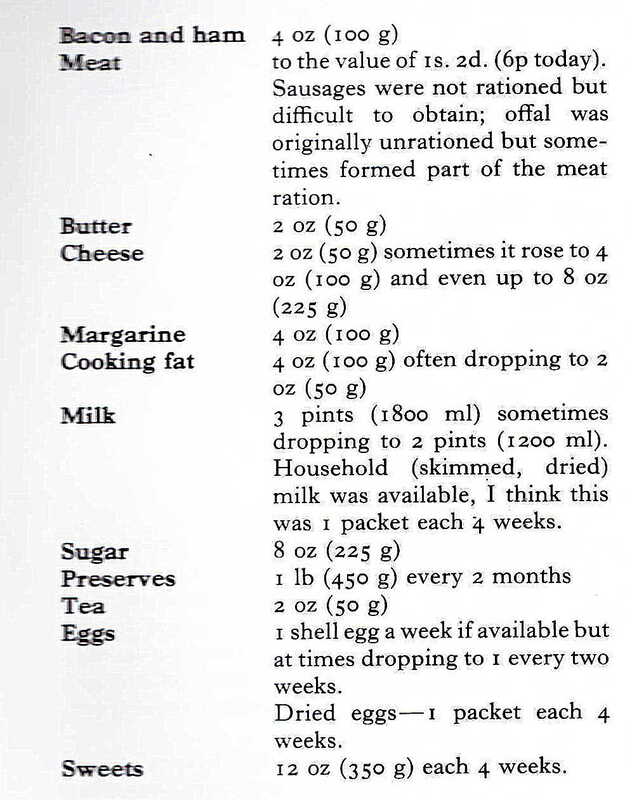 In January of 1940 the rationing of bacon, butter and sugar began and by March all meat had been added to the list. Cheese, eggs, sweets, chocolate flour, preserves, treacle and the majority of canned goods followed during the coming months. Clothing, coal, gas and electricity would also join the list before the end of the summer. In times of great austerity, soups and stews come into their own. Small quantities of meat and fats can be bulked up with potatoes and fresh vegetables. The use of powdered egg, dried milk powder and a very basic cheese became the norm. Housewives became keen for knowledge in how to get the most of what was actually available and to this end a range of newspaper columns, pamphlets, leaflets, books and supplements were produced to emphasise the need for healthy, nutritious food even under the direst of situations. 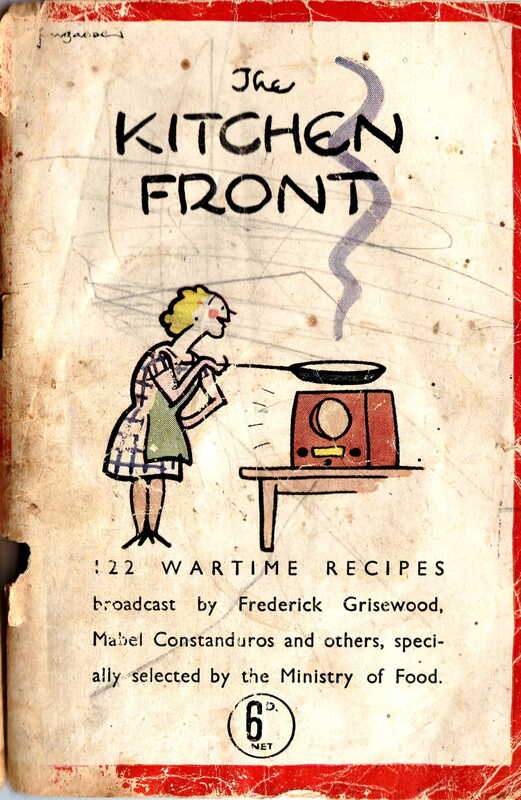 The Kitchen Front began to be broadcast on the BBC after the eight o’clock news. Popular cooks of the day were brought in to get across the message that simple food could be just as good as that produced using the finest ingredients. The stockpot once more came into its own. The hot-pot, the pot-roast and soups were elevated to the realms of ‘blessings in disguise’. The importance of patriotic thrift was spread via unceasing propaganda. The importance of cutting waste and using every available scrap became the key strategy for every household. Potato cakes would stretch potatoes that bit further while bean and lentil loaf with a ‘gravy’ from the stockpot could, with the closed eyes of the sublimely optimistic, replace the meatloaf! 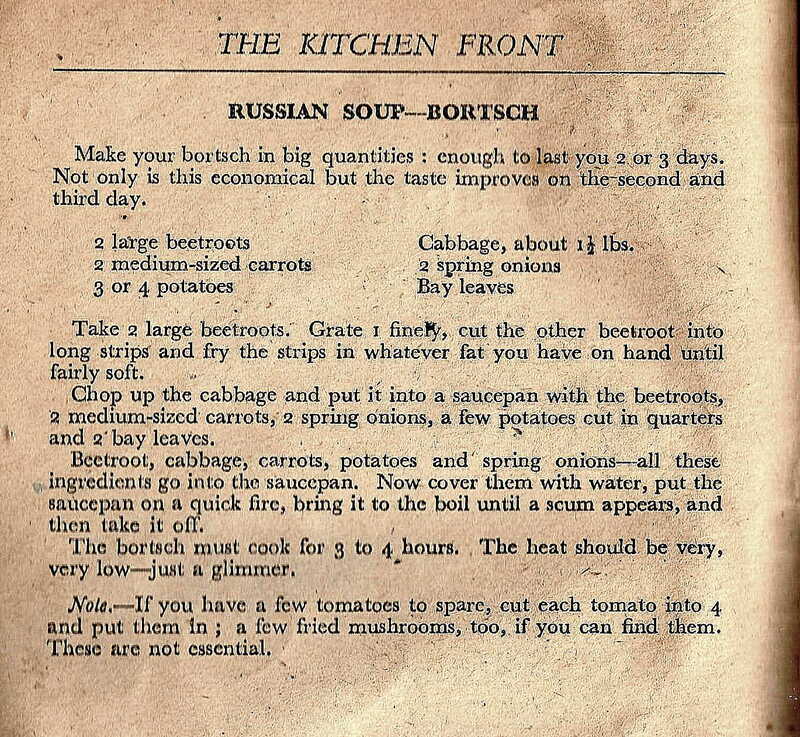 But, as the war began to bite and prices began to rise, the need for cheap, nutritious and filling meals soon began to dominate the minds of British housewives and fresh, wholesome soup began to make a regular appearance on the tea-table. Even so, with limited fuel and a fatless, cheeseless, fruitless and meatless kitchen, even the most optimistic of cooks were going to have a hard time! This entry was posted in Wartime and tagged fruit, larder, onions, roast, sage, vegetables. Bookmark the permalink.